Tip: You can use the XCA certificate and key management client to import and export your SSL certificates and key files in any standard format. For more information, see Managing the Intrusion System . A port number is optional on the internal address, this enables you to specify custom destination ports for various internal web servers. If no port is specified, the Smoothwall System defaults to 80 for HTTP sites and 443 for HTTPS sites. 6. Click Save. 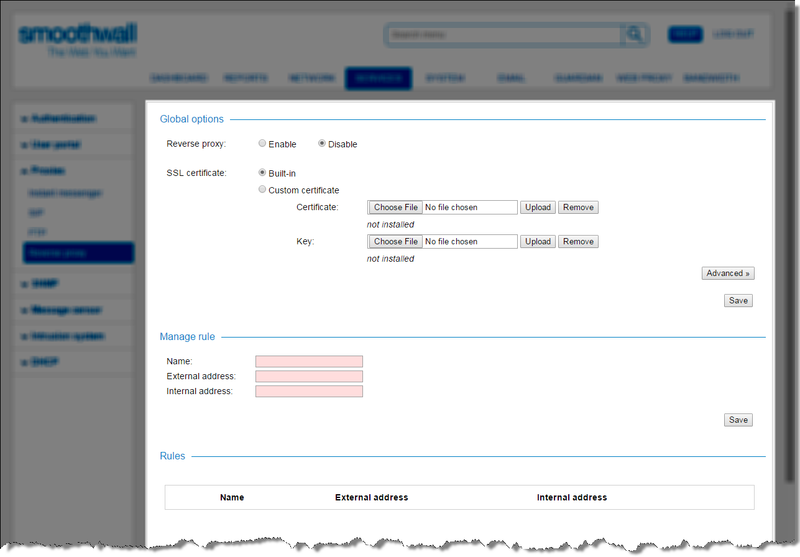 The Smoothwall System enables and deploys the reverse proxy service and lists it in the Rules area.